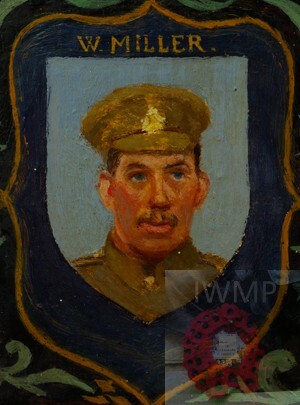 Died: 9th February 1915; age 29; KiA – south of Ypres. Employed: at Edward Packard & Co. Bramford, Suffolk. William is named in the 1st Battalion’s War Diary – killed alongside GEORGE BYGRAVE ALCOCK. 4 Ipswich men died on this day from the 1st Battalion. Benjamin Miller, 45, a Chemical Labourer, born Ipswich. Eliza Miller (nee Clarke), 35, born Washbrook, Suffolk. Lizzie Alice miller, 14, a Mother’s Help, born Ipswich. Rose Ellen Miller, 12, born Ipswich. Benjamin William Miller, 10, born Ipswich. Arthur Henry Miller, 8, born Ipswich. Charles Frederick Miller, 3, born Ipswich. Nellie May Miller, 11 months, born Ipswich. 1911 491, Bramford Road, Ipswich. William was 25 years old, a General Labourer. He was living with his widowed mother, siblings & niece. Benjamin, 30, a General Labourer. Charles, 23, a General Labourer. Emily Jane Miller, 19, a Laundress, born Ipswich. Albert Miller, 15, a General Labourer, born Ipswich. Edith Grace Miller, 11, born Ipswich. Daisy Miller, 1, born Ipswich. William’s father Benjamin Miller, died November 1904, Ipswich. Soldiers’ Effects to mother – Eliza Miller, sisters – Elizabeth, Rose, Nellie & Edith, & brothers – Benjamin, Charles, Arthur & Albert. William is also remembered on the Edward Packard & Co factory memorial at St. Mary the Virgin Church, Bramford, Suffolk. 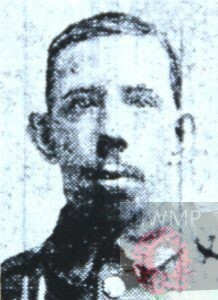 Charles Frederick Miller (brother) missing in action was reported in the newspaper as dead but had been captured and wounded, becoming a POW returned home after the war.